This is a another Paleo frozen treat that I make my girls quite often. The coconut water provides a refreshing coconutty taste, and is full of electrolytes. And the berries provides just about the right amount of sweetness without any additional sugar. Really, it is so simple that I hesitate to even call it a recipe. 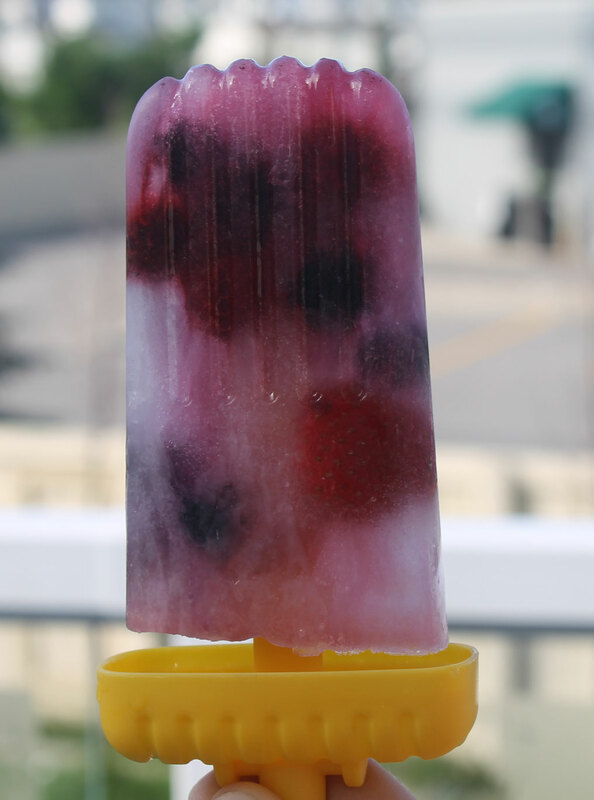 All you do is take your popsicle molds and fill them with a few berries – use whatever appeals to you – fresh or frozen. I used a frozen berry blend here that contained blueberries, blackberries, raspberries and strawberries. Then you top them up with coconut water. Make sure you read the ingredients, a lot of coconut waters out there contain added sugar and other ingredients. I don’t mind the ones that contain additional vitamin C , but I do try to buy 100% coconut water with nothing added if I can. Then you just need to add the sticks and pop them in the freezer for a few hours until frozen solid. I usually leave them overnight. Run the molds under the hot tap for a few seconds and the popsicle should slide right out. Delicious and very good for you. 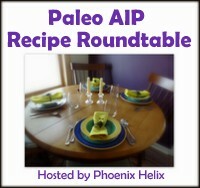 This entry was posted in Autoimmune Protocol Foods, Recipes and tagged AIP-friendly, berries, coconut, coconut water, frozen treat, paleo, popsicle, primal. Bookmark the permalink. I know what you mean about heat but no aircon… it is pretty hot here in Calgary as well. That is one of the reasons I try to make a frozen treat that the girls can have each day.